Tourists and wildlife buffs from all parts of the world are making their way to the Jim Corbett National Park, as it reopened for visitors on Sunday. The Jim Corbett Park comprises the Dhikala, Jhirna, Bijrani and Durga Devi Zone. Dhikala zone and Durga Devi zone were reopened on 15th November. It is the Dikala zone that tourists, mainly want to visit as it’s the core area of Royal Bengal tigers. To sight tigers and other animals roaming freely in the park, wildlife enthusiasts are coming in large number since the park reopened this season. Sameer Sinha, director of the national park, said that all the zones and ranges of the park have been re-opened. He further added all the zones and ranges of the park were closed for tourists on June 15 due to monsoon season. Another tiger habitat Rajaji National Park near Corbett National Park reopened on Sunday for visitors. The sanctuary is endowed with varied flora and fauna coupled with rich wildlife, attracts visitors from across the globe each year. 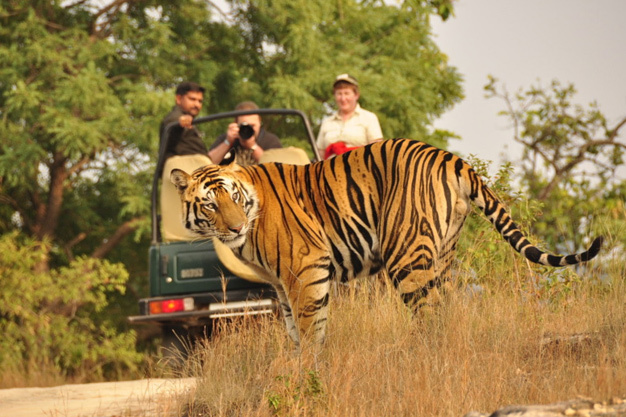 Jim Corbett National Park was established in the year 1936 with a purpose to protect the endangered Bengal tigers. Jeep, elephants, and canter safari are the best way to experience wilderness in Jim Corbett.